+Blog Book Tour+ Maggie’s Wars by Phil Pisani A war drama as lived through the courage of a woman re-defining her position in a man’s world. I was selected to be a tour stop on the “Maggie’s Wars” virtual book tour through HFVBT: Historical Fiction Virtual Book Tours. I received a complimentary ARC copy of the book direct from the author Phil Pisani, in exchange for an honest review. I did not receive compensation for my opinions or thoughts shared herein. 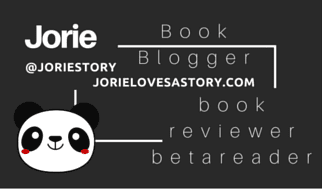 Due to personal issues arising from self-hosting my book blog (Jorie Loves A Story) within the 24 hours ahead of my stop last Friday, the 22nd of August. I am posting my book review post-tour instead, and am grateful for the understanding of the author Mr. Pisani, of whom I spoke to on Twitter the day of my original tour scheduled stop. I have percolated my keen interest (and most dearest desire, mind you!) in vintage typewriters ever so often on my blog, and within the links (of which are temporarily ‘missing’ from my sidebar) threaded on my blog I have left a curious little nudge of this passion left within the mentions of ‘The Typosphere’ and all things geekily befit a girl bent on owning a retrofitted (vintage) typewriter from the 1930s-1940s. I have the mind of finding a workhorse (one so powerful the happy merriment of clacking away on my own manuscripts will not put it into an earlier grave) and one wherein only the occasional missive could be typed out for a friend. I daresay, once I start ‘growing’ my collection I’ll most likely be one of those lovely souls I see in ‘type-in’ photographs whose sporting a variety of machines, and letting everyone write-off a note to a friend of theirs to mail by post. Part of what encouraged my interest in this particular novel, was not merrily the cover-art sporting a curious shot of a typewriter, but the very synopsis of it; of finding a wicked strong female character charging into a life bourne of men and a long honoured past of service where peers are not easy to come by and where a backbone of tenacity is commonplace! I am referring to the trade of journalism, and the strong boiled grit of any woman who wants to take-on a field so rife and known for being for men and men alone. I love stories where women are shown as not only courageous but trail-blazing forerunners for everyone else who rises after them in successive generations. I, also, happen to have a particular fondness for journalism – albeit in fictional stories, and most especially the newspaper trade! Mostly I have come to find stories in motion picture that whet my fancy of interest (i.e. “The Paper” starring Marisa Tomei & Michael Keaton; “One Fine Day” starring Michelle Pfeiffer & George Clooney; and of course, “I Love Trouble” starring Julia Roberts”. I also fancy classic films like “His Girl Friday” starring Rosalind Russell & Cary Grant and “It Happened One Night” starring Claudette Colbert and Clark Gable.) yet there are a few novels I have found as well over the years. One in particular was part of a series, but the publisher went under before the series could alight and find its footing. A bit sad on that note, as the lead character was a typing secretary with her own portable typewriter by which she travelled with job to job. Loved the premise and the fact she solved cosies as she typed or rather stumbled upon murderous circumstances made it even lovelier. I have always wanted to seek out more story-lines in fiction, told by authors and settled inside the bounded pages of novels; the stories my mind is so fanciful to watch on film. Seeing an excerpt of this novel prior to electing to participate in the blog tour sealed the initial joy I had in reading the synopsis. Even seeing Maggie for a few short paragraphs, I knew I wanted to spend time with the feisty blonde who dared to carve out a path where most women would not have dared to walk! And, if typewriters were involved, ooh, all the more reason to dive into the heart of the novel! Dare I say, if she were a redhead Maureen O’ Hara would have played her on camera! Maggie has more gumption than most women her age, older, or younger combined – she has the forthwith and stalwart attitude of never backing down when your in the right, and bending the conventional roles as far as she dared to re-direct them! She solidified in her own heart and mind, the will of a working woman in an age of war and with the determined grit to realise she was not going to be happy within a traditional role; expected by her suitors to take-on. No, Maggie was the rare breed of women whose bliss was attached to the hip of the adventure she was embracing, the pulse of the news breaking before her eyes, and the danger of being in a moment of raw horror. She took the courage in her veins to heighten her awareness of the living environment around her, as much as she credited her initial responses to living horror as a surviving method of acknowledgement as a reporter. To distance herself yet contain herself in the emotional angst all the while reporting the news with a modicum of sensibility and tact. The callus way the men in her field short-change her abilities and throw her darts at her gender only further inspire her fire to be stoked inside her belly. To refute their sneers and vocal jabs by keeping her head bent on the assignment and her heart outside of swaths of emotional angst. The Preface of Maggie’s Wars held within its simplicity an inspiring nod towards how serendipitously our lifepaths can unfold before us, and within the observations of where our feet have taken us a measure of kismet is always alongside the hopeful dreams we cast into the cosmos. A beautiful soliloquy of one woman’s fond remembrance of where her past led her into her future, and it was such a wonderful way to begin the story! By the time you enter into the first chapter, your quite aware of the author’s knitted style of giving breath to the craft of story-telling; allowing a fluidity of his lead character Maggie to overtake your senses, endear your heart, and ignite your imagination with a clarity of her driven passion for the life she’s lived. It is in the way he chooses to write in her observations, the manner of her speech, and the ticking nod of her essence, as she starts to bloom alive on the page. I knew from the moment I turnt page 2 I was in for a sweet surprise of narrative, underlit by a light of a joyful narrating current of story inked out of the author’s pen. By page 15, I was curling into a smile, knowing exactly what was drawing my eye further into the story at such a fast clip: Pisani has written a war drama in the style and favour of a classic movie! Almost as if the characters and the setting were set behind one of the classical story arcs caught on camera, and your nestled in for the duration, popcorn a finger grasp away and eyes absorbing everything in as though your seeing this style of film for the first time. His approach to the craft is one that I appreciate, as he gently glides you into the world where Maggie has alighted; the cross-hairs between choosing a life of a reporter and the traditional route as a wife. She lingers over the choice until her room-mate Flora points out the obvious nature of her character. Flora is the classic best friend you want to room with whilst your living on your salt in Greenrich. I only snuck a cursory glimpse at a review on this novel posted by a friend of mine (Erin @ Oh for the Hook of a Book), and it was at this passage of time I understand the words which lifted into my focus ‘he wrote a novel befit a noir motion picture’ or perhaps it was worded differently but the meaning was the same! Noir, oh, my yes, and how pleasantly I was to be surprised by this realisation! Generally speaking, Erin & I have the propensity to appreciate the same authors, novels, and styles of literary voice. Her reviews (like those of Audra @ Unabridged Chick) are always a delight to dissolve into after or even before, I’ve picked up the book myself! On this particular instance, I was saving my visits until afterwards,… as I sometimes do. Maggie’s moxie of proving her worth as a reporter early-on whilst attempting to nail the coveted interview with Madame Chiang Kai-shek, murmured a stir of a memory of another strong-willed woman I always loved watching a fire light inside her eyes; the character of Tess (portrayed by Melanie Griffith) in Working Girl. Defining the role you’re given and taking it a step further is the making of any character who bends convention and attempts to supersede away from the norm. Pisani stitched in just enough moxie into Maggie to already know what her contemporary Tess would have told her: don’t wait for the story, go out and get the story! I love her ingenuity and her eagle eye observations on the politico world of New York City! There is an undercurrent connection to organised crime as Maggie’s heart is attached to a curious cat known as Johnny Pero, er, Stone rather as he prefers to be called. She wasn’t flummoxed by this bit of information but rather guessed it herself yet respected him enough not to draw out an enquiry. He, on the other hand was bewildered by his feelings for this woman he first caught sight of on the street – back when she was first attempting to land a job at the coveted Trib; a journalist dream starting gate. Their two paths crossed at times in their lives where forging a relationship wasn’t quite optimal. His connections to organised crime and the exploits of his role inside the family therein are explained in full as you read Johnny’s perspective of the events as they unfolded. This is where Pisani makes a good choice in first revealing Maggie’s life from her own point-of-view before re-visiting it again from Johnny’s. He keeps the scenes tempered a bit, giving out the raw details but holding back just enough to where you get the gist and sometimes even more than that, but he doesn’t cross the line. I appreciated the honesty and the fact that despite knowing Johnny’s actions were outright unlawful, the man had a conscience. As Maggie & Johnny equally started to have their fill of the war on the front lines, both started to question their motivations on going there at all. Maggie was high on the thirst for getting ‘the story’ — blinded by ambition and a zest for danger, she was absolutely clueless to understand what the she would witness in reality. Johnny on the other hand was forced into serving on a special unit, placing his life and his comrades on dangerous grounds the entire time he served. Pisani remains true to etching in the humanity of the story, the undertone is always focused on the hope even in the middle of the darkness of the battlefield. The story ends on the wings of a cliffhanger, as I have a feeling the story is not yet done. The saddest part of the novel is the knowledge that both Johnny and Maggie ended up being pawns for other people whose goals went against the logics of humanity. Pisani has written a war drama intermingled with an organised crime family angle that gives new definition to the offerings inside historical fiction overall. He draws you into this close-centered world of crime, drama, city politics, and the interior life of a button man on the job. Maggie happens to be the woman who draws the eye of the gangster without his realisation of how that would effect both their lives; their paths start to merge together even though both are not willing to commit. Pisani handles both of their characters with a grace and ease, he is honest and upfront about Johnny’s nefarious dealings in the neighbourhood (if your familiar with Mario Puzo, especially The Last Don; none of these sequences will be unfamiliar) as much as he counter-balances his life on the outskirts of society by giving him a chance to meet someone he never felt he could compliment. The tone of the novel is underpinned by the desires of Maggie to prove her salt and worth as a reporter in a field as much as it is a juxtaposition of Johnny’s life on the streets and at war. Neither of them realised what they would be getting into once their agreed for their own reasons to be shipped overseas, and it is the drama of how they live through and what they gain back tenfold in experience and maturity that makes the story an enjoyable read. The fact that Pisani is creative with how he chooses his characters to ‘express’ themselves gave me a smile, as this is one question I am always quick to ask any writer who chooses to take the opposite route. This story is enjoyable because although a stronger word or two might be implied, it is how Pisani knits their personality through the words he uses that left me full of appreciation. And, the few times a word might have been used was very well placed. I recommend this novel for anyone who loves reading Kate Mosse! What pulls you inside the narrative of a war drama the most!? This one was quite a unique story overall, as it the main point of view exchanges between the two lead characters; at times overlapping and conjoining to become one. I appreciated this style of story-telling as it added extra layers of depth and meaning. Which perspective do you prefer!? First person or two interchanging points of view like this one!? @JLovesAStory Thanks, Jorie hope you enjoy it! @jlovesastory no apologies needed. Take your time. Look forward to your thoughts. @JLovesAStory Thank you so much, Jorie – you wonderful! @JLovesAStory Once again thank you from the bottom of my heart, Jorie – you are exceptional.